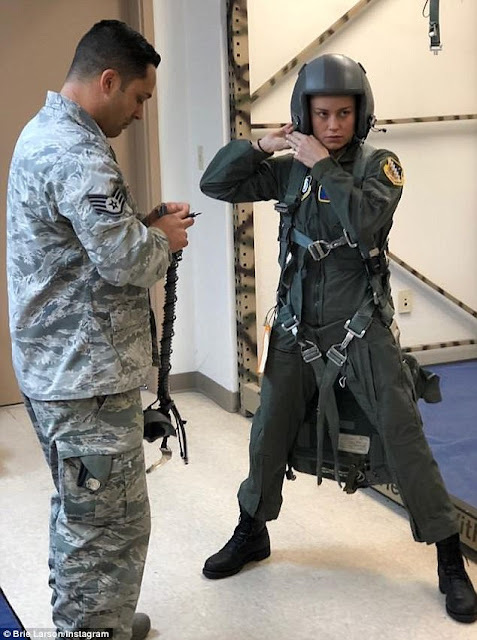 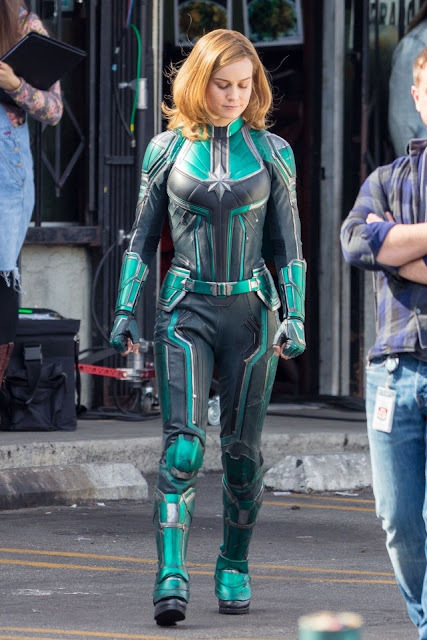 This past week the first on set and behind the scenes images of Brie Larson suited up in both her Air Force flight suit and Captain Marvel costume surfaced. 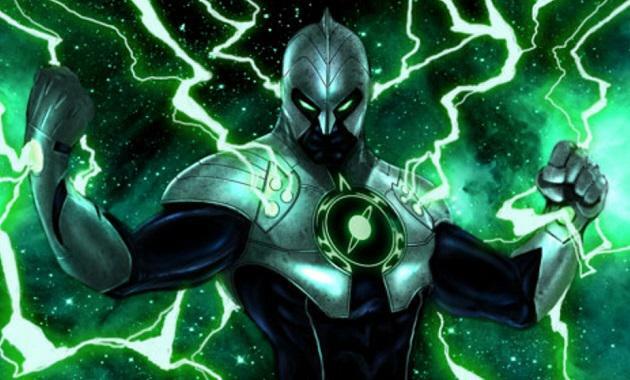 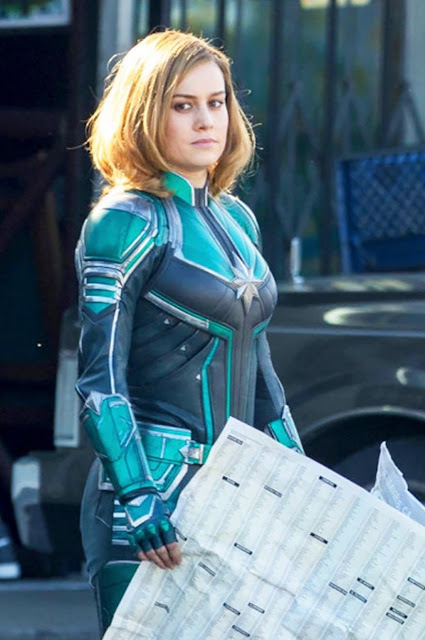 The teal/green costume isn't unexpected considering the original Captian Marvel comic backstory where Carol Danvers gets her powers from the Kree warrior 'Genis-Vell/Mar-Vell' and the Kree all wear green. 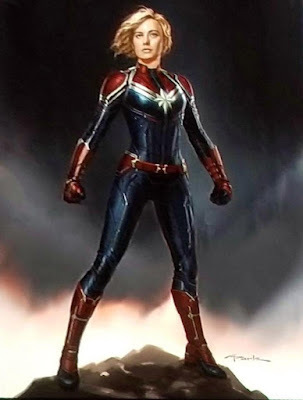 So this could be her initial outfit she inherits before we eventually see the red, blue and gold that was shown in artwork for this film and for Avengers 4. Supposedly the backstory is going to be completely re-written so Carol may end up actually being a pink-skinned Kree like Genis, or inhuman, or something completely different, instead of just being 100% human to start with, but we'll no doubt find that out later on down the line. For now this is yet another Marvel movie to look forward to and a new super-powerful Avenger to add to the Infinity War sequel! 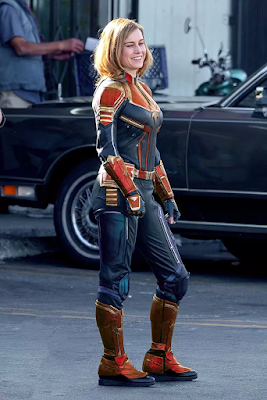 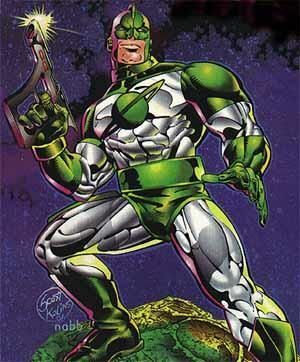 Movie artwork and a fan recolouring of the initial green costume into the blue, red and gold.